Our bright Quisqueya offers a hearty breakfast with mangu, delicious mashed plantains. From our beautiful, well-appointed guest rooms with their cotton-rich linens and plush down comforters to the incredible views of the Caribbean Sea right outside your window, everything you’ll find at the newly renovated Renaissance Santo Domingo Jaragua Hotel & Casino is designed with one thing in mind: to help you relax. Not that that’s ever difficult in Santo Domigo. Let our resident Navigator be your guide to the very best this island paradise has to offer. And when you’re ready to return to the hotel, you’ll find more than enough to keep you entertained. Our sparkling outdoor pool, tennis club, casino, fully equipped fitness center and high-end restaurants mean you’ll never have the same day twice, not matter how long you stay with us. 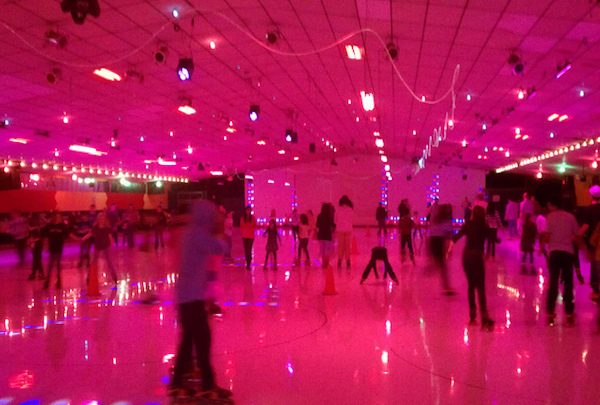 Beat the heat and head to this roller rink for some old school fun. The safety gear rental and snack bar are an added bonus. 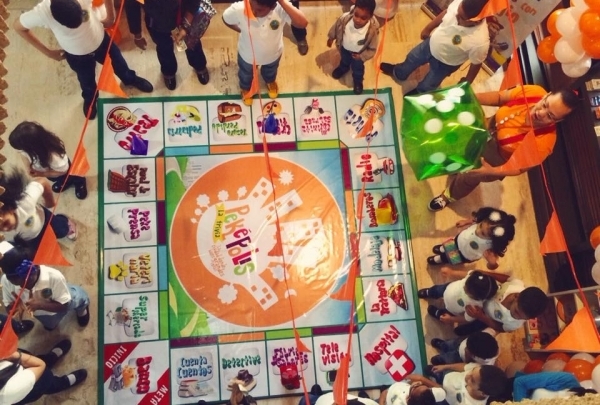 Fun for the whole family, Rollers in Santo Domingo is a great place for indoor entertainment when its too hot to be outside. This roller skating rink is filled with bright and bold colors, the latest tunes and choreographed lighting effects that sync with the music. The skate rentals are moderately priced and include safety gear for all ages, while the snack bar will keep the kids fed and entertained during skating breaks. Private party rooms are perfect for birthday parties or special events. 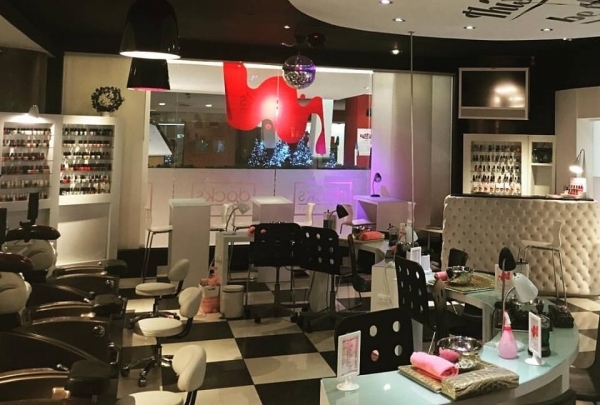 This chic lounge pampers you with unique nail and beauty treatments as you sip on glasses of sangria. This beauty is located on the second level of the Acropolis Shopping Center. 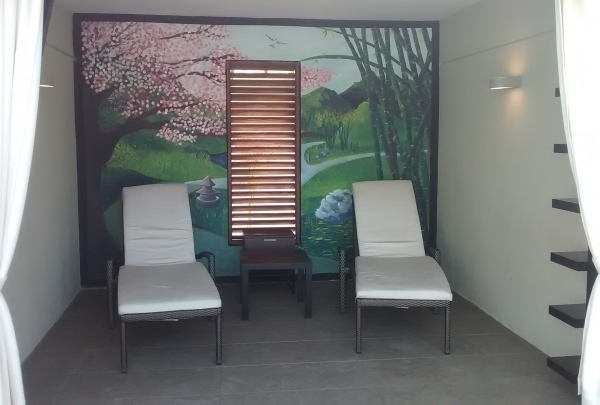 It's a convenient spot to enjoy a hour or two of relaxation in-between shopping stops. Skin treatments, shiatsu massage, facials, nail care, and other beauty services are available at this well-appointed beauty lounge. Opt for the Premium Organic Pedicure that pampers your feet with an organic paraffin treatment. This restaurant takes the humble plantain and elevates to new heights with dishes like the Yeti burger. This informal restaurant has a relaxed vibe perfect for an after-work drink with colleagues or a casual lunch date. 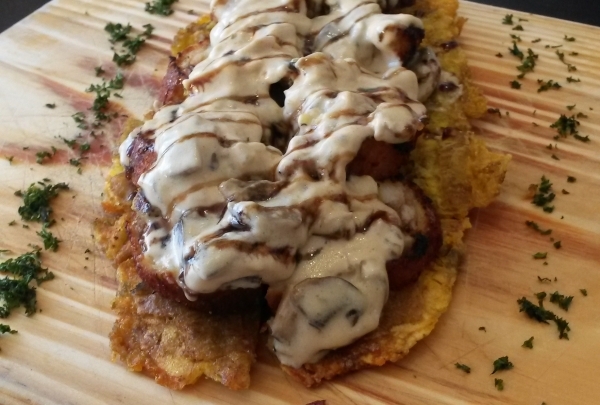 Their menu shines the spotlight on plantains, a staple in Dominican cooking, presented in an entirely new way. Here, plantains are both the star of the show, and a substitute for bread, replacing everything from burger buns to the pizza crusts. Discover an extensive selection of artisan beers from labels like at this trendy pub. Pair rustic platters of snacks like sliders, sausages and cheeses with their list of beers from Haiti, Germany, U.S.A., Belgium, Czech Republic, Spain, Britain, and more. Not sure what to sample? 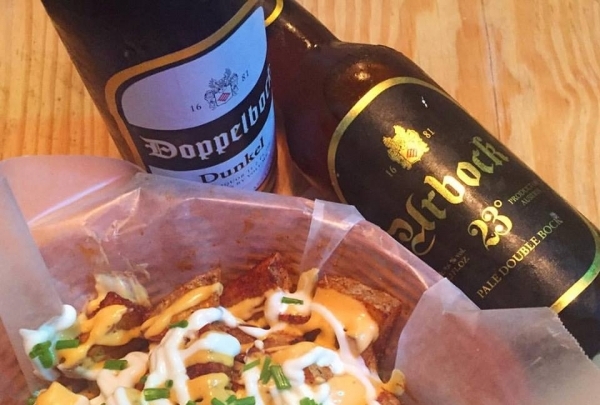 Don't worry, their informed staff can not only help you find the perfect beer to suit your taste, but also team it up with tasty eats for a great beer tasting experience. Explore the Colonial Zone in an engaging way that's great for the environment by riding a beach cruiser bike! Discover the hidden sights and secret alleyways of the city's beautiful colonial zone on a bike and discover little-known corners that you wouldn't find via a road. Zona Bici's bright blue beach cruisers are comfortable and easy to use, promising a fun couple of hours for all ages. 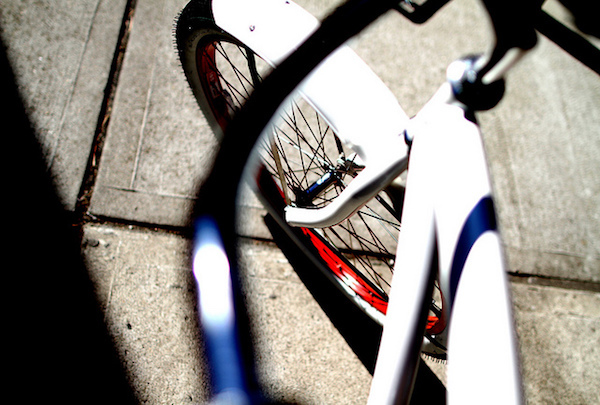 They also provide helmets and bike locks with each bike so you can stay safe. Experience a slice of Italy in the heart of Santo Domingo's Zona Colonial at this authentic pizzeria. 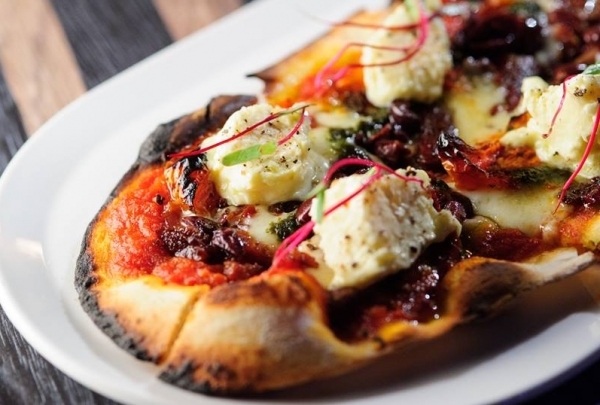 Pizza Colonial juxtaposes Renaissance-themed décor with a rustic old-world charm. The ceilings are decorated with gilded framed prints of iconic paintings by Italian masters. Ornate crystal chandeliers illuminate the cozy wooden tables with their checkered napkins and crisp table cloths. 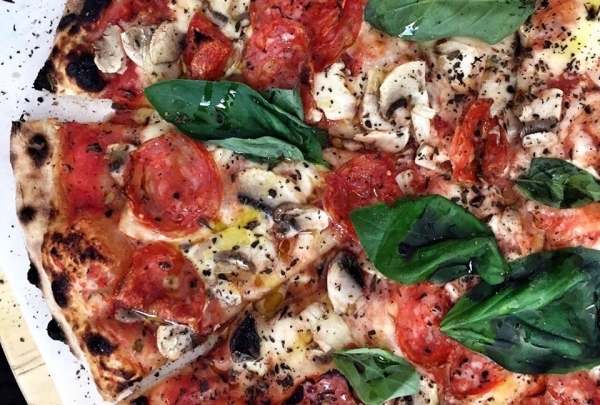 Savor thin-crust pizzas served straight from the authentic wood-fired oven to the table. Serving delectable tapas and tasty cocktails, this lounge's intimate atmosphere is perfect for a romantic outing. 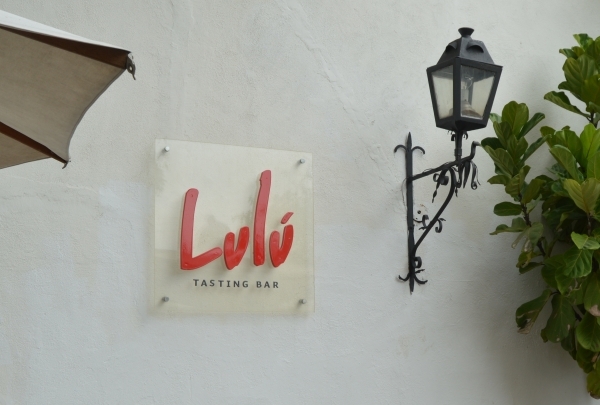 Lulu Tasting Bar will draw you in with its beautiful exterior. The white walls of this colonial-style building are covered with vines, surrounding a verdant patio. Inside, the modern decor is a nice contrast to the traditional exterior. 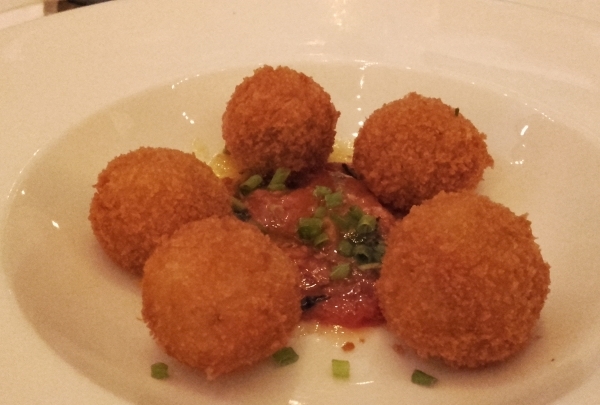 Tapas like fried ravioli, mini creme brulees and kebabs provide a plethora of flavors to enjoy. 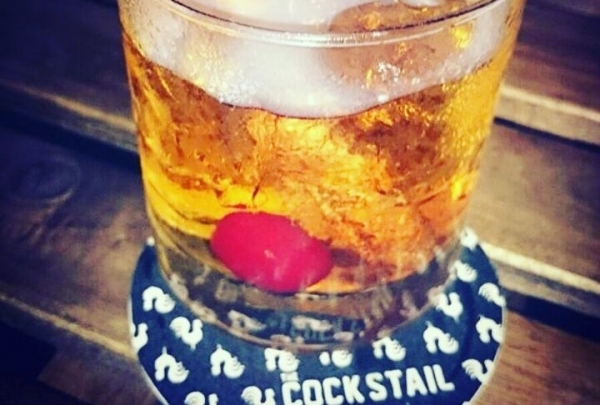 Pair with one of their exquisite cocktails for the best experience! 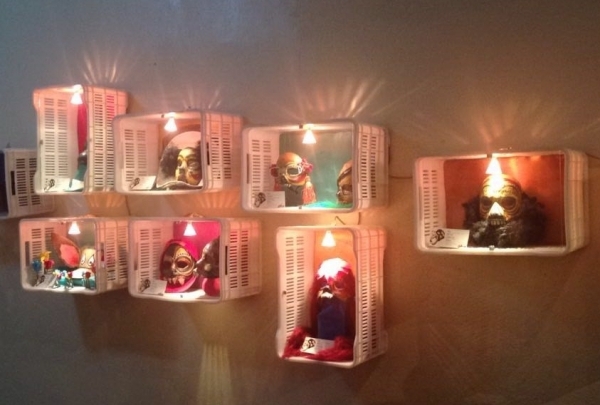 A hidden little gallery where you can find handmade pieces of local art for your home. This is a small gallery filled with pieces handcrafted by contemporary and upcoming local artists. It is a great spot to find paintings, prints, drawings, photographs, or other kind of decorative items for your home. If your looking for an uncommon souvenir to remember your visit to our lovely country, this is definitely the place to go to. 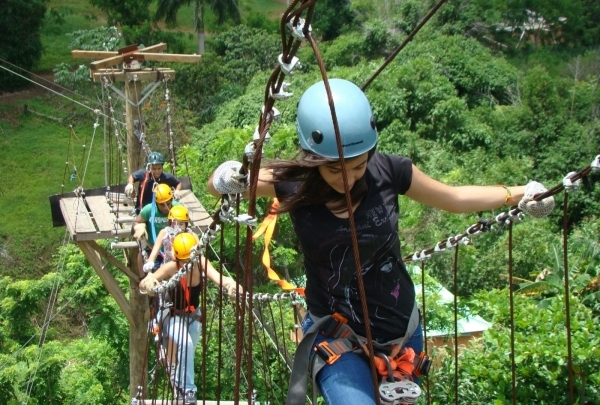 Enjoy a fascinating experience in this zip line park, where you will be full of adrenaline passing through all its attractions, from the zip line to the paint ball! Order a refreshing chilled beer at this bar and nightclub while unwinding on the patio to the sound of live music. 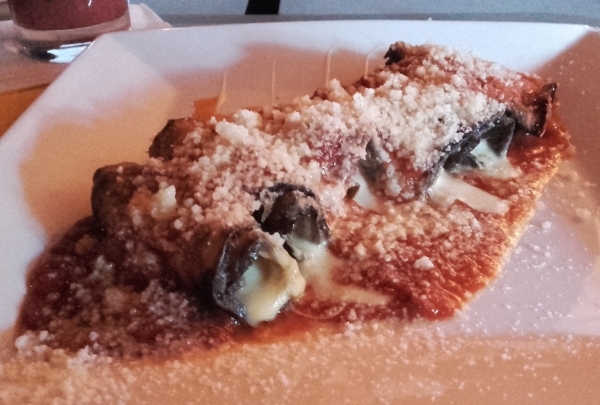 Segazona specializes in Italian and international cuisine. This is a great place to savor comfort food specials like house-made lasagna, gnocchi in pesto sauce, and flavorful bruschetta paired with pitchers of fruity sangria. The terrace is ideal for people watching in an atmospheric setting in the heart of the Colonial Zone. Don’t miss the performances of DJ’s at Fridays. For a fun Dominican dining experience, this restaurant serves local dishes like Mofongo along with a dance performance. 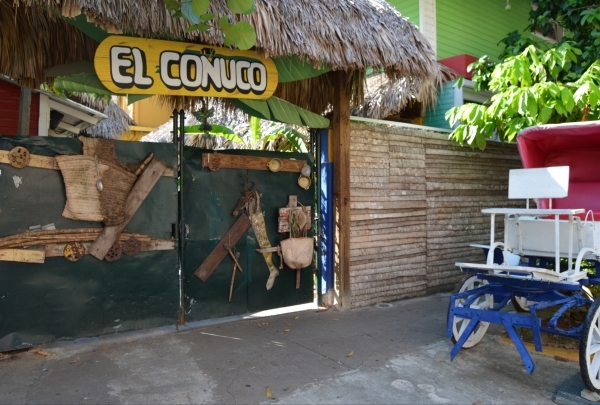 Decorated with countryside paraphernalia that reflects the happiness of the island, this restaurant offers guests authentic Dominican flavors. 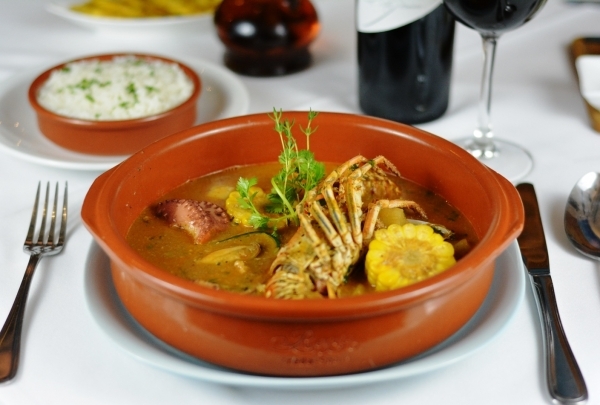 Dine to the rhythms of a sensual merengue played on the tambora, the guira and the accordion. Even the plates are made of typical behuco and sugarcane, and most dishes are adorned with cayenne flowers. An espadrille store that makes their shoes by hand while you wait in the cafe on the back of the store. 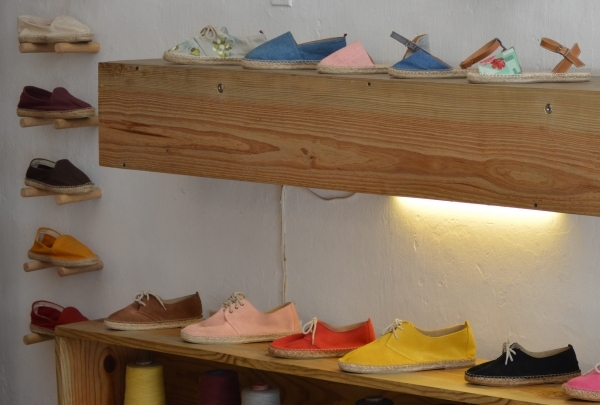 This store is filled with hip handmade espadrilles. If you don't find what your looking for you can always take fabric to them and have them sew one to your liking. While you wait, go to the back and you will find a bar and some options to snack on. Makes for a lovely afternoon or night even if your not in the mood to buy shoes. 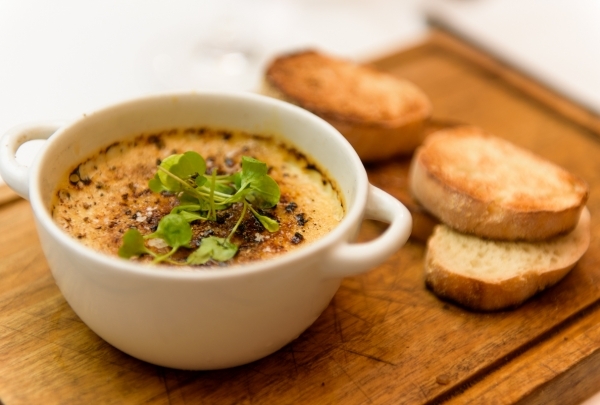 Pair innovative dishes like the duck confit pizza with Stilton cheese and orange confit with a glass of wine at this trendy restaurant. Mila is a family-run neighborhood restaurant that serves classic comfort food with a gourmet twist. Dine on tasty dishes like the Serrano and rucola pizza with Padano cheese, semi-cured manchego and chicken salad. The ambiance is chic yet inviting. The black-and-white decor contrasts beautifully with rustic dishes like wooden platters of shared appetizers, aromatic baked fondutas, bouillabaisse pies, and paellas. The breakfast menu is especially popular; opt for the classic Dominican breakfast or a delicious caramelized french toast. A carefully-chosen selection of wines are the ideal accompaniment to your meal. In Italian, "bottega" can mean an artist's workshop, and every detail of the restaurant has been labored over with an artist's fine eye. Progressive and classically chic are the best words to describe this Paintini neighborhood Italian restaurant that specializes in Mediterranean cuisine. More often than not, the impulse for the classic — in setting and in taste — gives way to luxury. There is a thoughtful but cavernous selection of wine, champagne, and Prosecco, a private lounge, and a romantic terrace with outdoor seating. 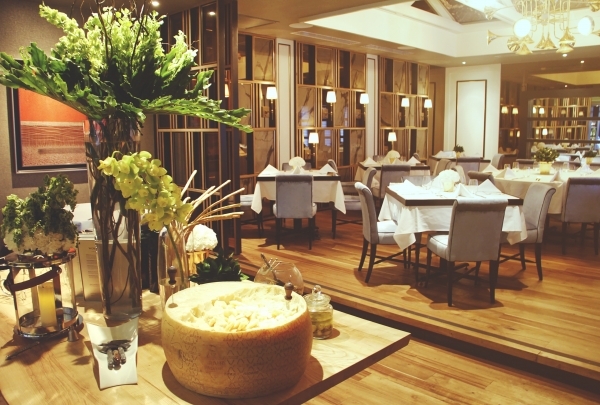 While reveling in the restaurant's grace, consider classic Italian dishes, like prosciutto San Daniele with mozzarella bocconcini, pollo al mattone, or risotto with a reputation to die for. 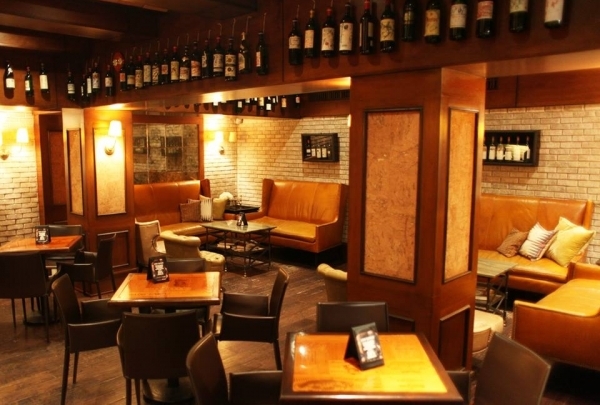 Sit back and relax with friends at El Catador while sipping on an endless supply of rare and delicious wine. This is not only a place to buy wine, but also the perfect setting for a small reunion or a quiet night with friends. This great spot will transform wine tasting into a fantastic experience you will never forget. With the help of El Catador's wine experts, you will learn about your purchases and how to make the most of your wines by properly pairing them with your meals. This classy cigar club is ideal for aficionados looking to sample the finest hand-rolled Dominican cigars; their Fuente Opus X is legendary. This renowned cigar label manufactures some of the world's best cigars. Each of their signature lines like the Chateau Fuente (hand-crafted Connecticut shade wrapper and vintage tobacco) is carefully displayed in the walk-in humidor. These mild-to-medium-bodied cigars are superior in style and flavor, and the entire range of authentic blends are available in store. The in-house bar is ultra stylish, welcoming the who's who of Santo Domingo. Dress to impress if you want to gain entry to this exclusive venue for dinner and cocktails. Come here on Mondays, Wednesdays and Fridays for some of the best live jazz in town. Pair a wide selection of top-shelf Dominican rums like the oak-aged Brugal 1888 with innovative small plates. Luna impresses with its modern decor, exceptional bar menu, and award-winning service. Cozy private booths, communal-style tables, and high bar seats allow an array of dining experiences from casual socializing with fellow guests to more quiet dinners for two. Sip craft cocktails that draw on Santo Domingo's Caribbean heritage like the fresh mango mojito. Discover vibrant murals that celebrate the artistic heritage of Santo Domingo and a passion for urban art at the Renaissance Jaragua. A five-star luxury hotel may be the last place you would expect to find cultural art, yet that is exactly what you'll discover here. Subverting preconceived notions, these murals truly embody the eclectic spirit of the Caribbean people. Each mural is the work of a talented local artist and speaks of a dynamic local arts culture that dates back centuries. From the streets of the city to the hotel's Sol Pool Lounge and Bar, these murals truly capture the essence of Santo Domingo. Step back in time as you visit this 300-year-old heritage structure that was the first seat of the Spanish government in the Americas. 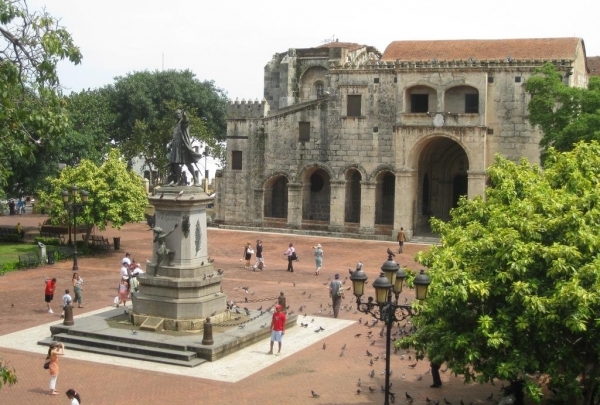 This 16-century structure once housed the administrative offices and official residences of the colonial government in Santo Domingo. Two connected buildings make up the complex, the Palace of the Governors and the Palace of the Royal Court. Each of the nine rooms of the building retain their original furnishings, decoration, ceramics, Taíno artifacts, ancient armor and furniture that offer a glimpse of life from the 1500s to the 1800s. Wander through the halls and offices to get an idea of judicial structure, military duties and family life during this period. Self-guided audio tours are available in multiple languages and offer further interesting facts about the building and its many illustrious inhabitants. Share creative small plates like the yaniqueque with shrimp, avocado, feta and horseradish cream at this upbeat pub. Once30's relaxed interiors are a blend of rustic and contemporary, with bare-brick walls, wooden tables and cozy sofas, ideal for small get-togethers or romantic dates. Savor an array of innovative dishes like the steamed bao with 48-hour short ribs, octopus with cream, and burrata with bacon and olive oil powder on country bread. This pizzeria's traditional wood-fired oven imbues each crust with the perfect amount of char and crispness. This cozy pizzeria is warm and inviting, decorated with vintage Italian posters and a blackboard announcing the daily specials. 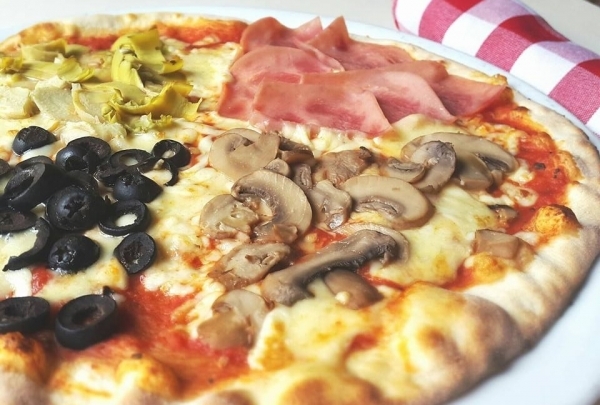 The menu is straightforward, serving an array of classic Italian pizzas, as well as fresh salads and pastas. The simple fare is elevated to epicurean heights by the use of authentic Italian ingredients, market-fresh vegetables and the skill of the ever-busy chef. You can't go wrong with any of the montaditos here, served with yucca fries and a fresh glass of chilled sangria. 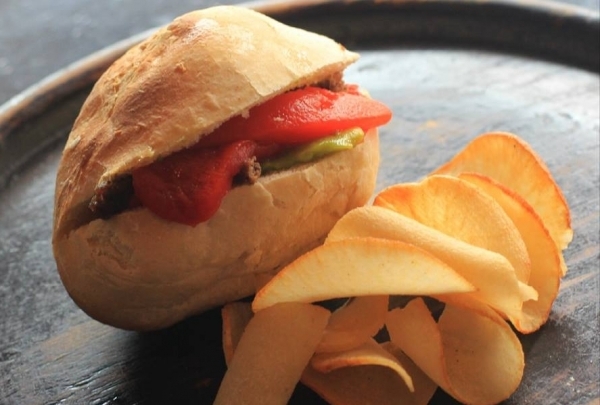 Montaditos, or tapas-style sandwiches, are the specialty at Anacleto y Dorotea. You'll find around 65 varieties here: they're filled with everything from chorizo and Gouda to serrano ham and Camembert. Wash them down with a glass of their famous sangria, sure to quench your thirst on even the hottest day. The lively dining room is often full of Santo Domingo's young, trendy crowd. Learn everything about Dominican cacao and the art of chocolate making, from growing the bean to the final product. 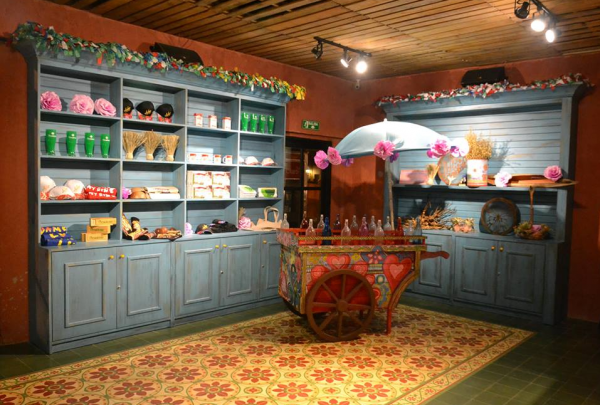 ChocoMuseo is a must visit for all those interested in chocolate and its origins. Explore the artisanal factory with interactive exhibitions and workshops, and learn about chocolate through taste, touch, and aroma. Purchase unique gifts and souvenirs like the bolitas de cacao and cacao nib-infused rum and carry home a bit of Santo Domingo along with you. Dine overlooking the Alcázar de Colón in a beautiful 16th-century mansion with live music and traditional dance. Atarazana, in business for over 40 years, specializes in authentic local dishes as well as international fusion and has an enviable location off the Plaza España. The venue offers a truly local cultural experience with daily music and dance performances by talented artists. Soak in the vibrant ambiance as you relax on the spacious covered patio with its blend of modern and rustic decor. Explore the city's Spanish culinary heritage at this hacienda-style tapas restaurant overlooking the picturesque Plaza. Experience a slice of Barcelona's famous tapas culture in the heart of the Zona Colonial at Pura Tasca. Dine alfresco as you mingle with fellow tourists and locals over sangria and shared eats. Savor Spanish tapas like the Iberian ham on toast, Mamá Tingo (goat stew with peasant bread), or the shrimp and fish ceviche with tea spheres and tangerine. Choose from over 15 kinds of sangria. This miniature city allows kids to take on different roles and learn about the world. Peképolis is a place where kids can learn and have fun. Built to resemble a small city, kids can learn about different aspects of everyday life here while playing different roles, like firefighters, cooks, veterinarians, and more. There are also areas for kids to draw, read books, and make their own radio show. Peképolis is a great place to host a birthday party. 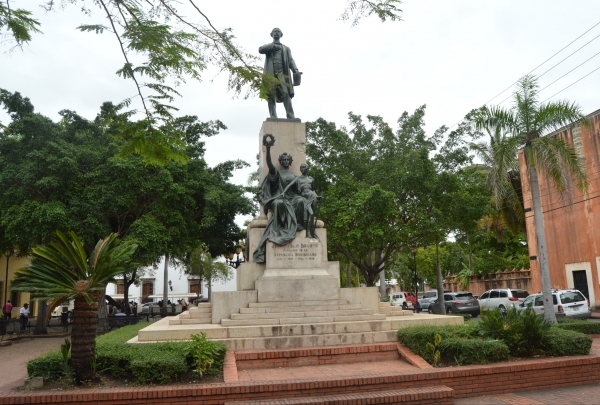 Located at the center of Ciudad Colonial, the main feature of this park is a statue of Christopher Columbus. 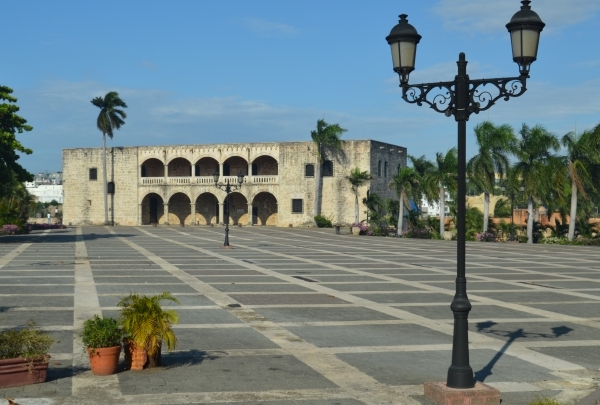 Originally known as Plaza Mayor, this historic square was renamed in 1877 after the Columbus statue housed here that was sculpted by Ernest Gilbert. 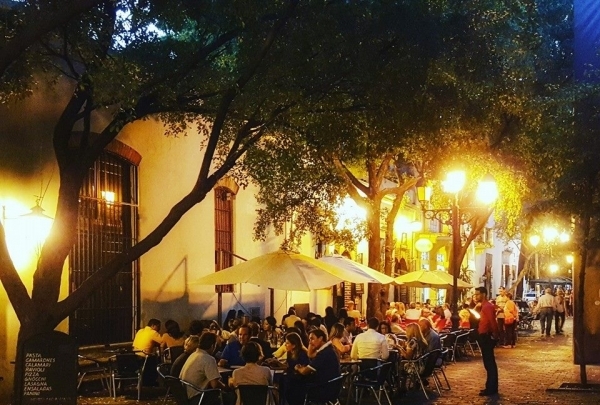 Surrounded by top attractions like the Catedral de Santa Maria la Menor, Palacio Borgella, and the Municipal Palace, this is a great place to catch your breath and do some people watching on one of Santo Domingo's busiest streets, the Calle del Conde. This club is where locals come to dance. There is live music every night for those who wish to dance. 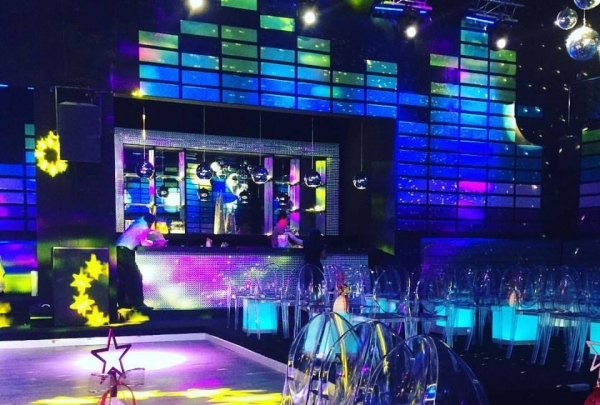 Jet Set is one of the most popular and happening clubs in Santo Domingo. The large and open amphitheater-style interior is perfect for the best acoustics to compliment the almost nightly live music that is presented. The lively atmosphere is perfect for a night out dancing and making new friends. Monday nights in particular are fun as they feature live Latin music like bachata, merengue and salsa. 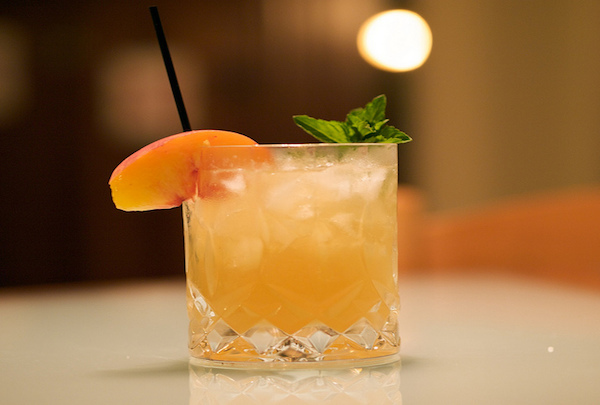 Sip on creative cocktails like the El Gallo (with Brugal XV, basil, ginger, and lime) at this trendy Piantini hotspot. Music is a large part of the experience at this hip bar in the vibrant city center. This cozy bar is perfect for post-work drinks with friends or a late night out on the town. Elevating mixology to an art, the original concoctions and old school classics showcase the best liquors and house-made infusions with an eye to detail, served with a unique twist. Happy hour is between 6p and 9p daily. Views of Calle La Atarazana, craft cocktails and live music set the tone for a wonderful evening at this upscale bar. 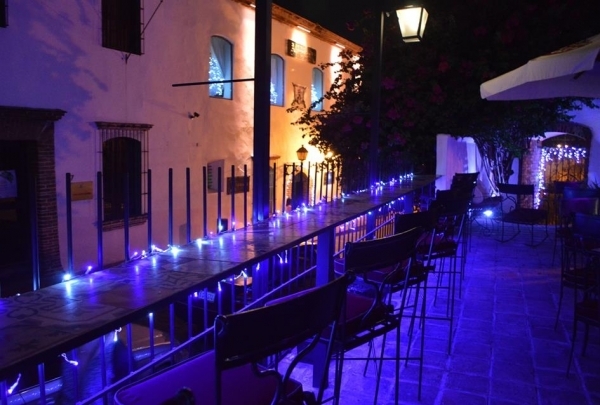 The Salomé Terraza Bar is housed in a 16th-century colonial mansion and the bar juxtaposes traditional architecture with stylish mood lighting, cozy wrought-iron tables and sophisticated decor to create an inviting, romantic space. Choose from a selection of global wines and expertly-mixed drinks to pair with eclectic small plates. Savor the experience of dining under the stairs. This maritime restaurant combines Dominican and Peruvian flavors with an Italian flair. Seafood is the highlight of the menu with dishes from hot-off-the-grill salmon, squid, and tuna to cold appetizers like citrus-infused tiradito and tuna tartar. The ambiance is casual chic and soothing sounds of splashing waves and seagulls transport you right to a waterfront pier. 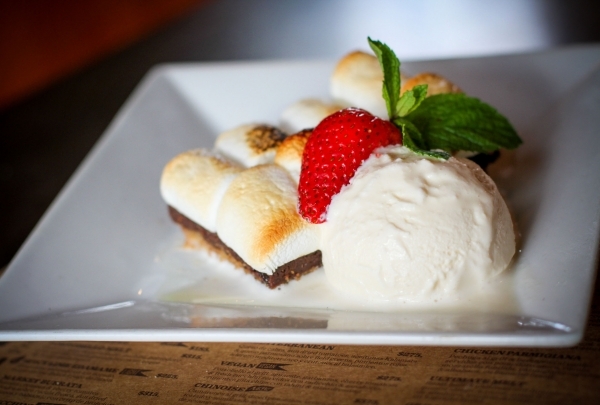 Don't leave without sampling the sumptuous mascarpone dessert, as it's a perfect end to a gourmet meal. Savor prime Argentine cuts of beef like vacío, charcoal grilled to perfection, at this traditional steakhouse. At Asadero Los Argentinos quality is everything, a philosophy that has been at the forefront of every dining experience here for over 35 years. 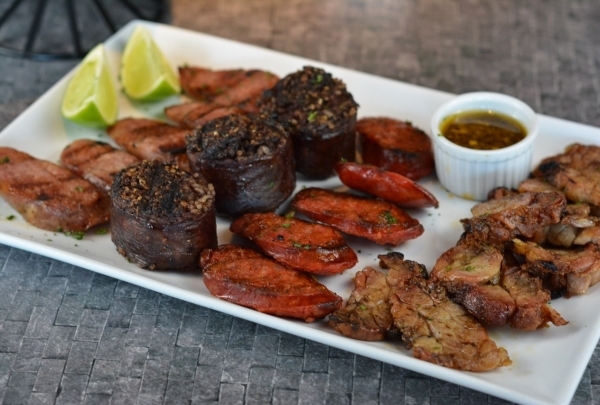 The restaurant serves only the finest beef and pork, slow grilling them over coal to infuse it with a robust flavor that highlights the uniqueness of each cut of meat. The warm ambiance is at once stylish and inviting. Sports-themed bar where you can enjoy premium cuts cooked to perfection. This vibrant location has the fullest bar you will find in the country, which allows you to ask for practically anything and they will have it. The decor and lighting makes this the perfect place for a reunion with friends to watch the game. Even though the bar seems to be the star in this venue, don't forget they serve premium cuts cooked to perfection. So you must ask for the menu! If you want to delight you palate with Dominican dishes, this is the perfect place to indulge in delicious cuisine. 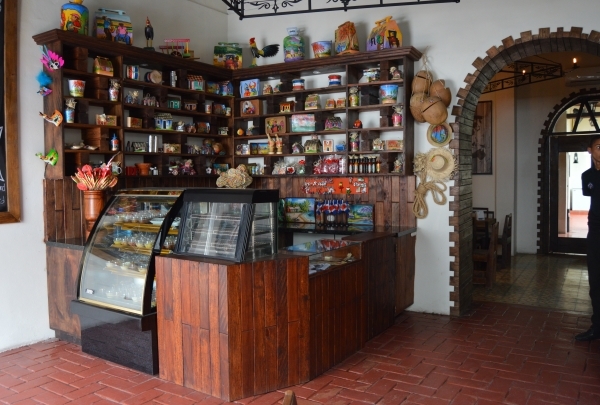 Come to discover a piece of Dominican culture and cuisine at Jalao, located in the heart of the Colonial Zone. With a totally Dominican menu and cozy atmosphere you can savor dishes like chicharrón and casabe, grilled octopus and guineítos, and for dessert, a banana split topped with banana flambé. 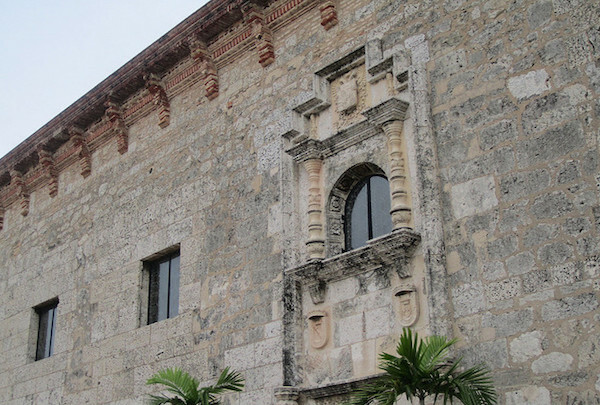 This palace was built for Columbus’s son and as the center of court life entertained famous men like Ponce de Leon. This interesting historical building was built in the 1520s. The palace was primarily constructed in Italian Renaissance style with some Gothic details. In 1809 and 1835, parts of the building collapsed due to major landslides, but in 1957 it was restored to its present condition, where visitors can now come admire and soak in the intense historical atmosphere. The perfect place to share some beer with friends and wait for the bars to open. 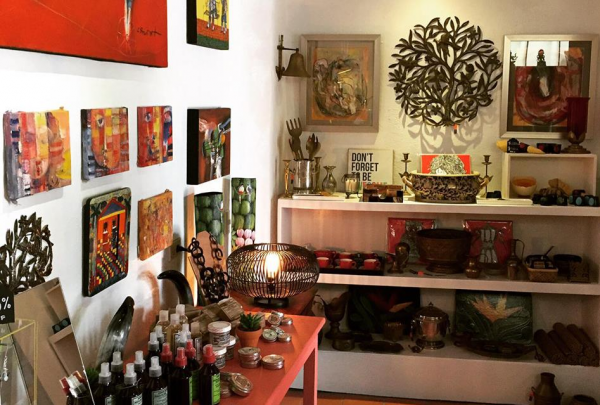 A friendly and artsy atmosphere is what you will find here. This park is located at the end of Duarte St. and was named after the leader of the movement that achieved the freedom of our country. A nice spot to see the afternoon turn into night under the watchful eye of Duarte's statue. If your lucky you will run into musicians jamming in one of the benches while sharing a beer. One of the oldest churches of the new world that took 22 years to complete; with such beauty you'll understand why. As all mendicant order churches this building is characterized by its simplicity. White walls with wooden altars and golden details give you a sense of peace and solemnity. This lovely church was once the home of the first university of the New World and is also one of only three churches in the world that has a Zodiac wheel carved in stone. Pagan symbols seldom found in Catholic churches. 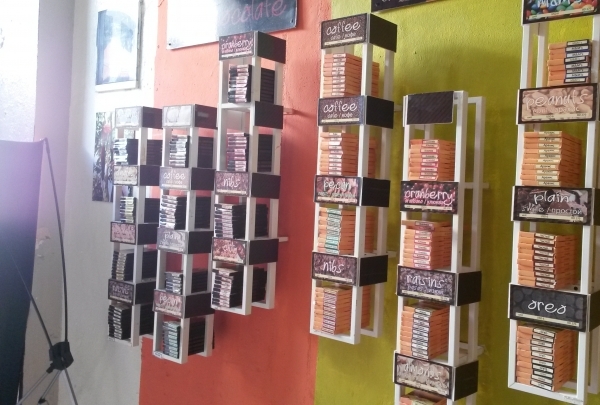 A one stop shopping place for Dominican desserts where you will find options for everyone with a sweet tooth. 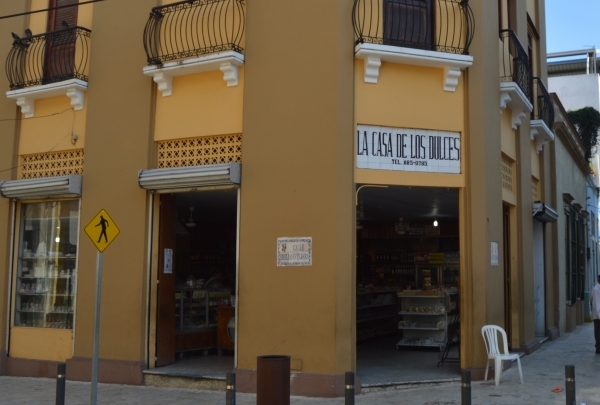 Since 1978 this humble store has specialized in typical Dominican desserts and little more. If you want to take your loved ones souvenirs, we seriously recommend you swing by this store as it is inexpensive and fully stocked with all kinds goodies that will help you convey to those back home what our country is all about. Old and picturesque street you must walk through on your way to the San Francisco Monastery ruins. This lovely street was used for one of the scenes in The Godfather because it represents the essence of a colonial city with its stone road, long stairway, antique lamps and colorful wooden houses. It was declared cultural patrimony to make sure it will be preserved for future generations as its is a lovely window to the past...a friendly reminder of time and how valuable it is. 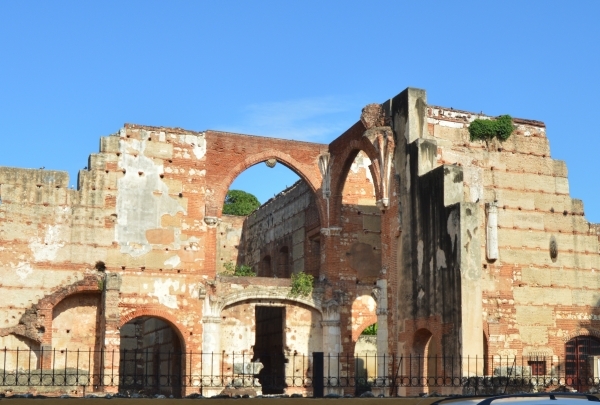 Now in ruins, this is the oldest hospital in the Americas which was built in different stages between 1503 and 1552. The order to build this hospita was given by Governor Nicolás de Ovando and it was so well built that it resisted Sir Francis Drake's invasion and numerous hurricanes and earthquakes. This hospital used to exhibit a combination of Renaissance and Gothic architecture with a hint of Mudéjar influence. It is said to be the last place visited by all that entered its doors, regardless of their ailment. This is also known as "Catedral Primada de America" as it was the first church built in the New World. 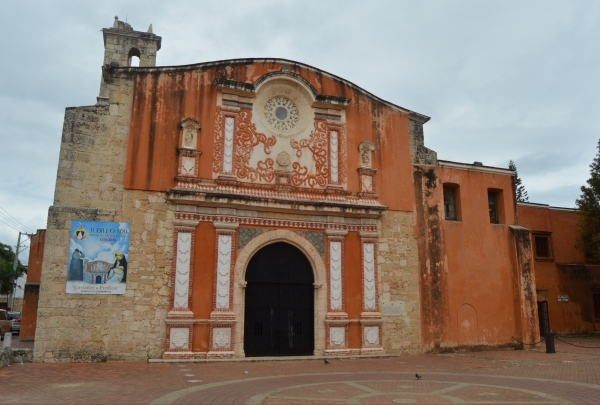 This is the oldest cathedral in the Americas, begun in 1512 and completed in 1540. 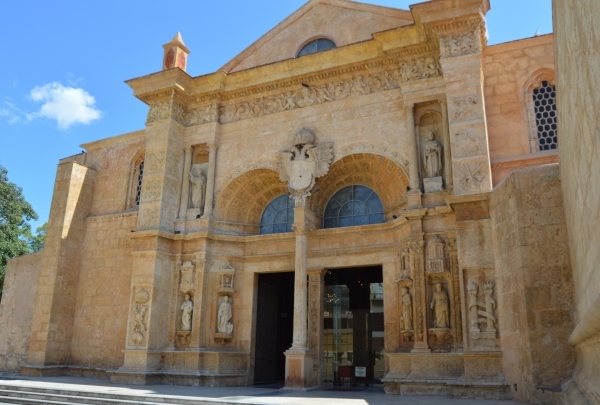 The Cathedral of Santa María la Menor is dedicated to St. Mary of the Incarnation and has a Gothic and Baroque construction that you must see when in town. Market-themed bar where you can enjoy sliders, pizza, mini burgers, local deserts, foreign beers, wine and cocktails. The space is filled with rustic details and a hint of "hipster" here and there. Blackboards all over show you what's available to eat or drink, so look up as they are beautifully decorated. The food is awesome and cooked right in front of you. 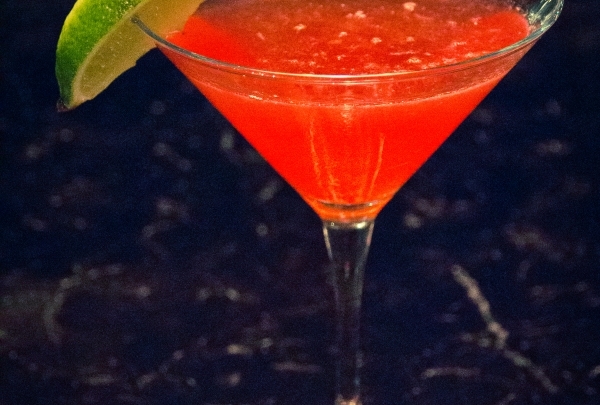 If you like spicy food, don’t forget to try the Jalapeno and bacon pizzeta with a refreshing strawberry daiquiri. 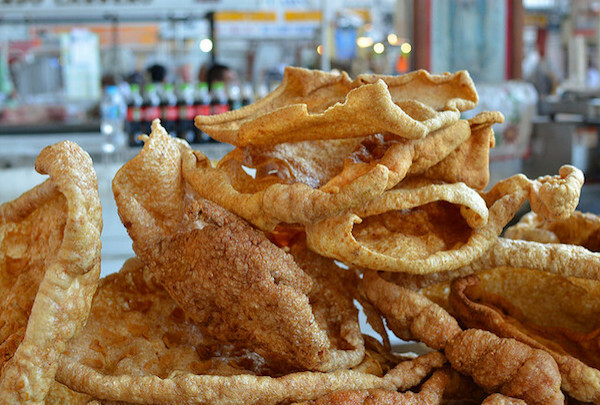 A little place by the sea that serves some of the best pork rinds in town. This unique little restaurant is big on flavor and service. No need to dress up as they are completely informal and located very near the hotel. The menu is built around pork rinds but you can find some other unique meals in it, like goat or crab based dishes. A must try is the passion fruit mousse which is the perfect ending to a plate of fried pork rinds and plantains. 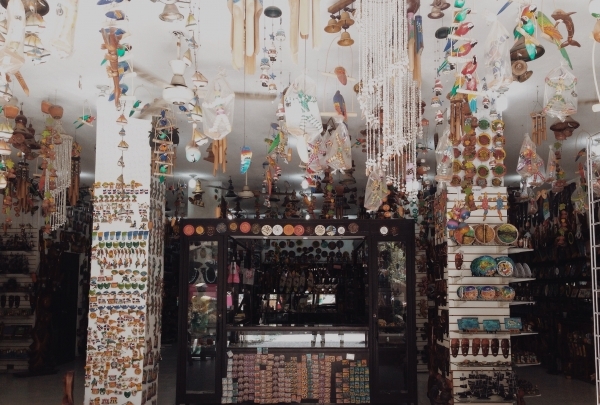 Dive into the most significant objects of the Dominican culture in this small gift shop where everything is handmade. Take a trip to the past with a ride in the nicest train that shares more than 500 years of history in just 45 minutes. 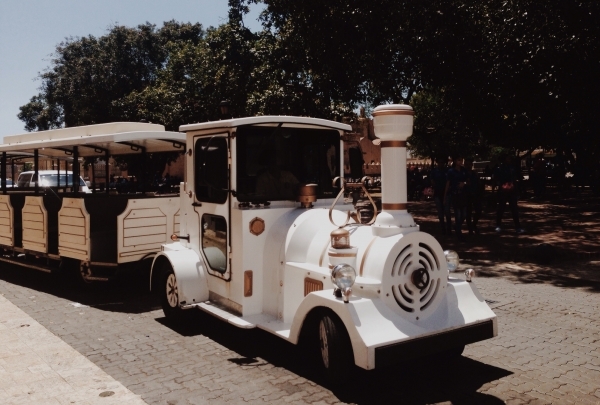 Get to know the most beautiful part of the city in the nicest train that explores more than 500 years of history during a 45 minute journey, giving the most important details of the Colonial Zone. The perfect place to drink, eat and dance at the same time! Are you looking for a place where you can drink, eat and dance at the same time? If so Mix Bar & Restaurant is the ideal place. Try their international menu and the delicious cocktails. You can start with Involtini primavera, and continue with the mushroom-stuffed tenderloin accompanied by a delicious strawberry mojito. You don't want to miss it! This restaurant uses fresh ingredients for their excellent mixed juices and light plates. Market offers a varied menu for lunch, dinner and breakfast. It's fresh and light dishes are accompanied by delicious and creative juices. For breakfast try the pumpkin pancakes (with syrup amaretto, ginger and orange butter) accompanied by a strawberry sensation (strawberries, banana, coconut milk, cocoa nibs and vanilla). You will love it! This lovely restaurant has wine from all over the world, delicious food, and a perfect atmosphere. Do you like good wine and prime quality meat? Victoria by Porter House is the place for you. 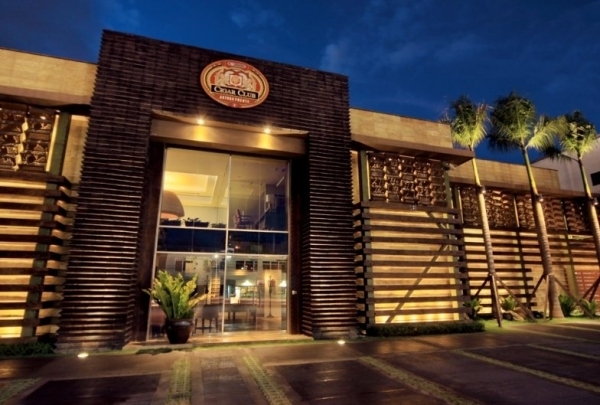 With elegant decorations and a cozy atmosphere, you can enjoy a perfect dinner here. 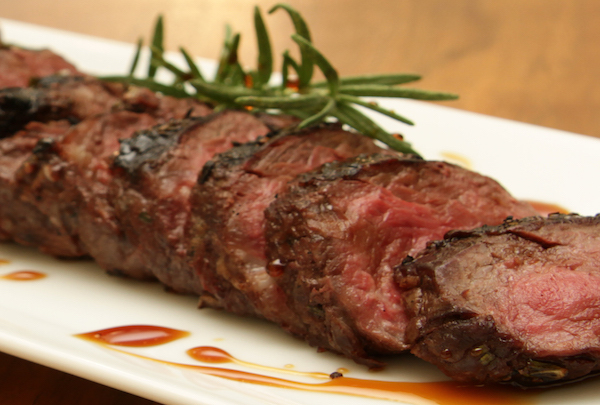 Try their filete a la sal (prime steak cooked on a Himalayan table salt block). Remember that every Monday is wine and tapas night, each glass of wine includes a plate of tapas. 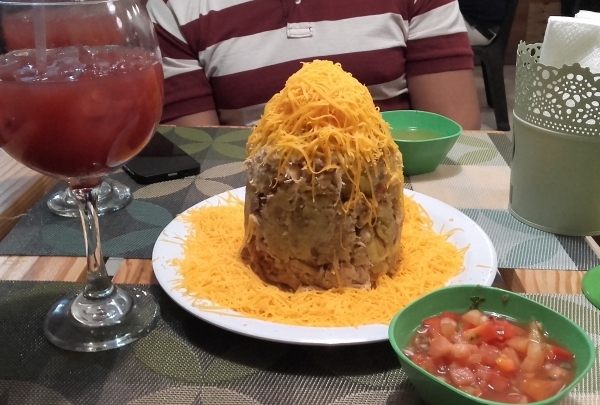 Come and try one of the best dishes in the Dominican Republic: Mofongo. If you want to try Mofongo this is the best place in Santo Domingo. 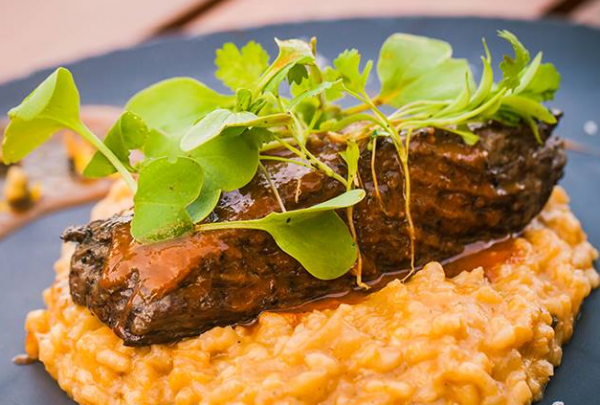 This plate is made with picked green plantains that are mashed with salt and water in a wooden pilón (mortar and pestle). This results in a sort of plantain puree with pieces of crunchy pork rinds or bits of bacon. Most mixtures include broth, garlic and olive oil. You will love it! Artsy unique articles for sale in a two-story colonial house where you can have sushi and beer. 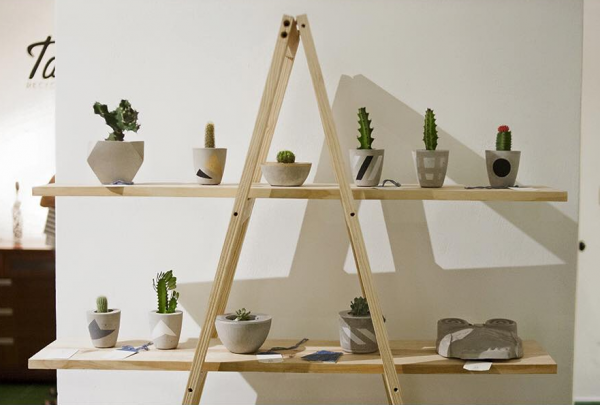 A group of students from a local school of design decided to open a store where they can sell their unique pieces, so they created Diseño Local Store. Here you can purchase clothing, accessories, books, or decorative pieces for your home as well as really good sushi and beer while listening to the best playlist of music that goes from the 1930s to contemporary artists. A little theater where every corner can become a stage and all the plays explore new forms of entertainment. The purpose of this space is to marry old and contemporary theater in a way that today's spectator will crave. Teatro Las Mascaras explores the possibilities of portraying plays on any type of stage, be it an open patio, the corner of a room, or a rooftop. This sort of experimentation makes the experience organic and much more entertaining. 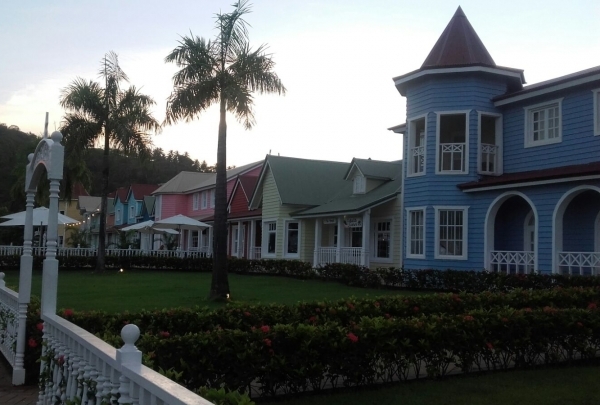 Samaná is an architectural gem with its original and colorful Victorian houses. Samaná Bay was settled by groups of migrants from the Canary Islands, France, the British Caribbean islands, Haiti and the United States. 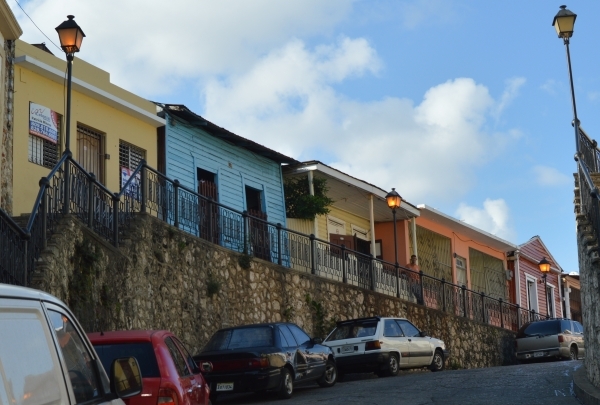 See how all these groups left their mark on Samaná’s architecture. Go and discover this little paradise in Samaná! 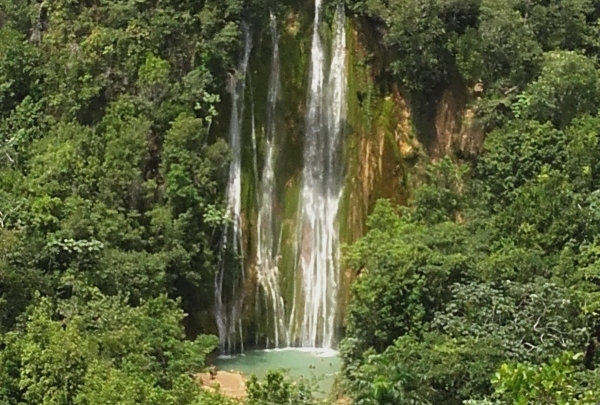 Salto El Limon is a gorgeous waterfall near the port of Samaná. This 130 feet (40 m) cascading wonder falls into a sparkling pool that you can take a refreshing dip in. You can journey the waterfall by horseback, which takes about two hours with the help of an expert guide.